In addition to the premiere of a dance composition by Ballet West’s Adrian Fry and performances by Christopher Ruud’s Stars of Ballet West (watch for a preview next week), three historically significant Utah dance companies will present performances to help commemorate the festival’s 40th anniversary. Many of the works were given either world or Utah premieres during the past season. Daniel Charon, artistic director, says the festival performance always is an exciting moment for the dance company every year. “It marks the end of one seasonal cycle for us and sets the stage for moving forward in our new season,” he says. 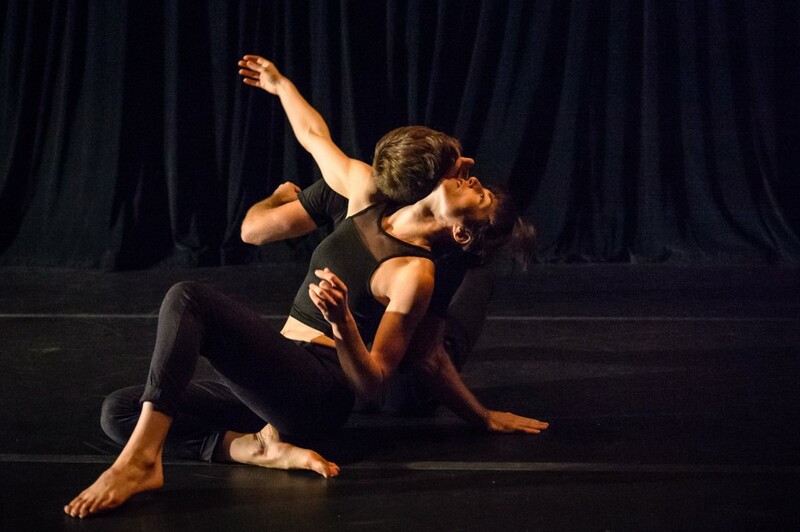 It also will be Bradley Beakes’ final performance with the company and Charon has selected Intercepting Light, a duet Beakes created for last summer’s inaugural Great Salt Lake Fringe Festival. 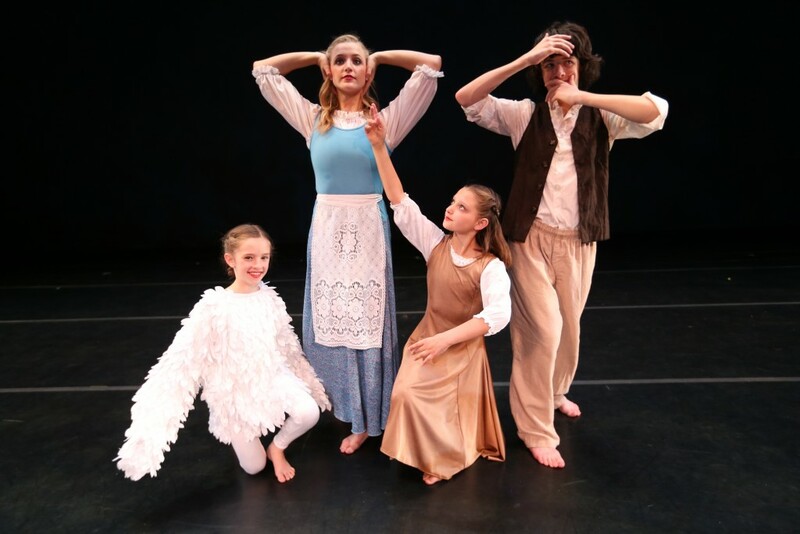 Ririe-Woodbury dancers were prominently featured at the Fringe Festival, with Bashaun Williams, Mary Lyn Graves, Alexandra Jane Bradshaw and Breeane Saxton joining Beakes in a program that signifies just how deep the talent bench is for dance in Utah. Other works include standout pieces presented in recent seasons, including a segment of 53 Rooms, a work Charon choreographed to the Salt Lake Electric Ensemble’s live performance of Terry Riley’s In C, a pioneering work of the minimalist music period. The work was premiered in the spring of 2015. SLEE will join the dancers on stage. It is essentially artistic egalitarianism, as the choreography fits the music as each musician simultaneously shifts and reshapes gradually the musical tones, timbres and textures communicated in each of the 53 modules of the composition. 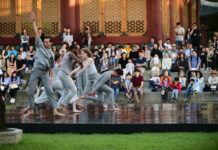 From the most recent spring concert, dancers will perform a portion of Joanna Kotze’s Star Mark, a work the New York-based choreographer developed for the company’s dancers during a two-week residency earlier this spring. Kotze created ever-changing blocks of physically demanding dance movements that tear down the metaphorical fourth wall of dance performance, often bringing the dancers barely more than a foot or two from the audience. Dancers are never stoic, their faces reacting and responding to their viewers, in both serious and whimsical ways. And, for the first time, excerpts from the first two installments of Charon’s Together Alone trilogy will be presented. 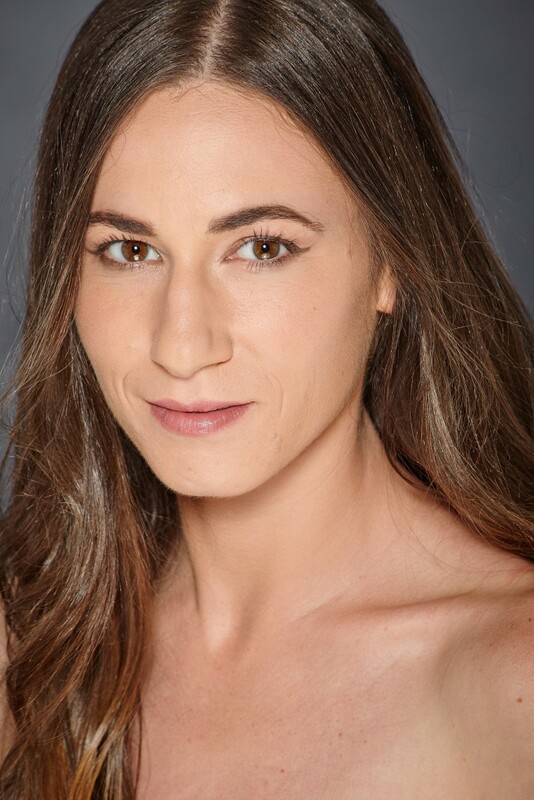 The trilogy uses dance to explore the sociocultural phenomenon of the virtual self in the age of social media and the challenges of overcoming loneliness and false sensations of narcissism and connection in order to find a refreshingly sincere psychological community along with emotional support and intelligence. Charon says he choreographed the work with scientific and technological concepts in mind, such as duets representing the binary code strings of 0s and 1s as well as the double helix of DNA. “It then opens the door to locate our consciousness – are we still out there,” he explains. In the second installment, Enter then explores how we can overcome the dread of depression or loss and use our solitude to contemplate and rediscover ways of making meaningful relationships in the digital age without necessarily disconnecting our digital selves. This fall, as the company begins its 53rd season, Charon says forthcoming dance concerts are expanding the views of what dance can be and the importance of how creators approach the challenges of overcoming any inherent risk in artistic experimentation. The fall program will explore how the lines blur between traditional dance performance, visual art installation and theater. 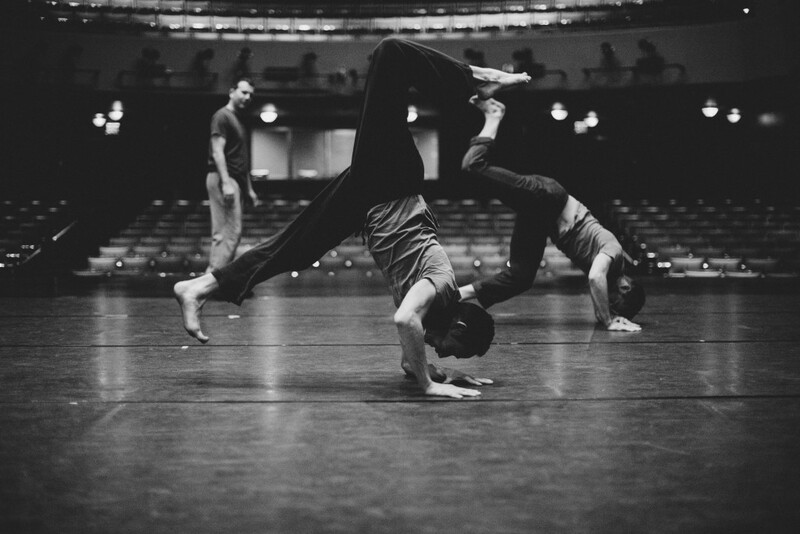 For example, one of the works will feature an installation piece by choreographer and visual artist Jonah Bokaer. A perennial favorite, the CDT always meets the challenge of enchanting audience with its original productions. This year’s Gwinna, adapted from the children’s book by Barbara Helen Berger, is about a girl who begins to grow wings on her back. Her parents are a village woodworker and his wife, who, unable to conceive a child on their own, made a bargain with the mysterious Mother of The Owls. The catch was that when the girl turned 12, she would have to be born. Gwinna’s parents, fearing that their daughter has been cursed, binds the wings close to the girl’s back with white ribbons in hopes that the wings will not continue to grow. However, Gwinna knows something is different, as she hears a mysterious song far off in the woods. When she turns 12, she goes to her birth mother and learns to fly. Then, Gwinna sets off to find the source of the mysterious song with which she has become so familiar. The production premiered in April at the Capitol Theatre to both school and public audiences. 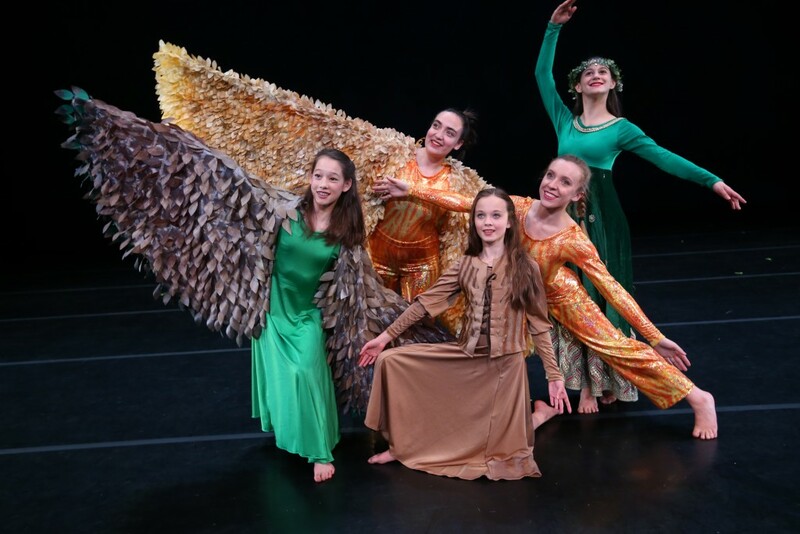 CDT’s productions always impress in terms of size – 175 dancers ranging in age from second grade through high school – as well as scale, including costumes and props. Tristan Moore, CDT’s resident composer, wrote Gwinna’s score and Wendy Turner, Cynthia Turner and Nancy Cook created costumes. Thirteen choreographers translated Berger’s book into dance. CDT also recently launched two initiatives. The Elevate Theater Company is a musical theater company for performers with disabilities, as students explore the Broadway musical theater repertoire and how emotions can be portrayed in various settings. There are classes for singing, dancing and acting, as well as opportunities to expand on memorization and mobility skills. Registration is open for fall classes. Meanwhile, the LEADD Program (Learning and Engaging through Arts Discipline and Development) is an arts and education program for adults with disabilities, where students can learn life skills through the artistic genres of dance, music, theater, visual art and creative writing. The LEADD Program starts on two weekday afternoons in August. Linda Smith, one of RDT’s co-founders and original performers, still remembers “how much we burned the soles of our feet” on the Main Street stage at the first Utah Arts Festival. Nevertheless, RDT and the Festival have among the longest continuous collaborative relationships of any arts organization in the community. And, Smith is thrilled to have RDT’s 50th anniversary season formally close with its annual Festival Stage performance. 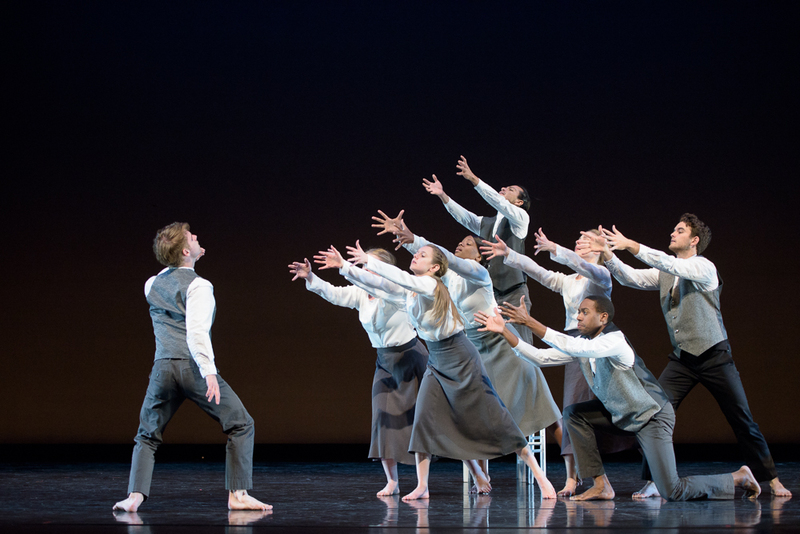 RDT’s golden anniversary season was a master class in celebrating new work as well as presenting some of the most significant dance compositions as the nation’s longest running repertory dance theatre. 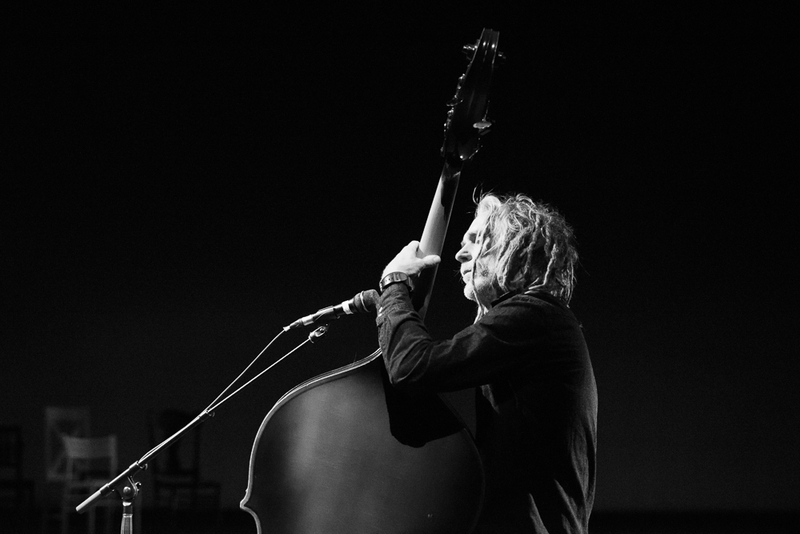 Among the works to be presented at the festival will be selections from Crippled Up Blues and Other Tales from My Deseret, a work created by RDT alumnus Bill Evans. It is spiritually uplifting and quite humorous in many moments – that signify the unique meaning of Deseret and the generational experiences of settlers who came to this region. The work premiered at last fall’s RDT concert. The work includes original music by Hal Cannon, which will be performed live by the 3hattrio. The musicians include Cannon, who has been on the scene for more than 40 years; Greg Istock, a veteran stand-up bass instrumentalist who writes most of the songs for the group (either individually or together with Cannon) and plays foot percussion instruments, and the youngest member, Eli Wrankle, a violin major at Southern Utah University who is 19. The trio also will accompany choreography performed by young dancers. RDT also will present Joanie Smith’s Jack, a 2012 piece that bursts with kinetic and comedic movement in updating a classic nursery rhyme, which received its Utah premiere at last fall’s RDT concert. Joanie Smith, who co-founded the Shapiro and Smith dance company in 1985 with the late Danial Shapiro, is artistic director for the Minneapolis-based group. Keeping it light, RDT also will give the Utah premiere of Joanie Smith’s Pat A Cake, a hilarious take on another classic nursery rhyme but this time featuring two women in a rivalry marked by fierce, rhythmic competition. RDT’s 51st season opens this fall with three commissioned works and then a concert later in the fall featuring favorite choreographed compositions by Shapiro and Smith. In addition to its annual Regalia fundraiser concert in the winter, the company will close next season with Dabke, an evening-length work by Zvi Gotheiner, which incorporates Middle Eastern folk dance, Arab pop music and contemporary dance.